Fabulous Off White Color Party.. Designer Function Wear Pink Co.. Silk Fabric Fabulous Beige Col..
Alluring Green Color Designer ..
Delightful Pink And Beige Colo..
Party Wear Classic Blue Color ..
Beguiling Off White Color Part.. 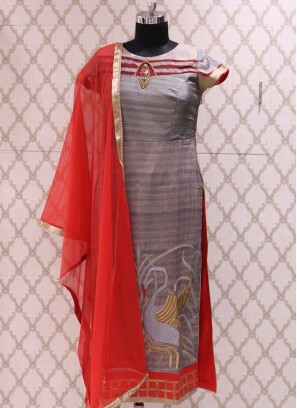 Satin And Georgette Function W..
Function Wear Red Color Embroi..
Soothing Grey Color Party Wear..
Charming Purple Color Party We.. Graceful Purple Color Festive ..